In February 2012, the Holy Trinity Eco Warriors won the coveted Young Reporters for the Environment video competition. some of the warriors are seen here being presented with the award from the then Environment Minister for N. Ireland, Alex Attwood. 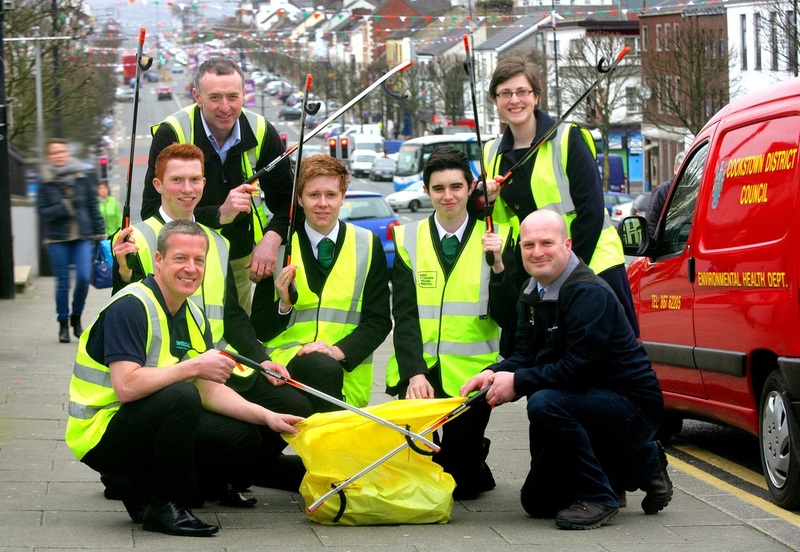 The warriors made a video about the problem of litter in and around Cookstown and their efforts to protect the local river. We will be entering this years competition, and have made a video about the environmental hazard of dog fouling. Here is a video about the Eco-Unesco Young Environmentalists Awards for 2012. The Holy Trinity Eco Warriors won the Junior Water category at the awards. Will Garoña be shut down? Spain’s oldest nuclear reactor disconnected its energy supply to the nation’s electric grid on Sunday as part of a gradual shutdown of the Garoña plant, after its owners decided not to begin paying a new energy tax imposed by the government. Endesa and Iberdrola, the owners of the plant, made the decision to terminate Garoña’s operations seven months ahead of schedule and begin emptying all the nuclear material before the tax kicks in on January 1. The plant, which was opened in 1971 — the same year as Japan’s Fukushima was built — only provided about one percent of the country’s electrical power. But the plant was the focus of concerns by environmentalists and some scientists after the Fukushima nuclear accident earlier this year. The previous Socialist government had prolonged the lifespan of Garoña until next July, but a 2,190-euro tax on each kilo of uranium spent, which was introduced by Prime Minister Mariano Rajoy, forced Endesa and Iberdrola to bring forward the closing date. The tax was part of the Industry Ministry’s energy reform bill, which was approved by the Senate on Thursday and is expected to be passed by Congress this week. According to Nuclenor, the partnership formed by Endesa and Iberdrola that operates Garoña, it would cost 153 million euros a year to continue operating the plant because of the tax. Rafael González, the mayor of Valle de Tobalina where Garoña is located, said that the closure would mean a loss of about 300 direct jobs plus 500 subcontractors. “They deceived us all,” said one union leader. While in opposition in 2009, Rajoy promised to keep the plant going until well after 2013.
by Teresa Parejo Navajas, Professor of Law, Universidad Carlos III de Madrid (Spain). Santa María de Garoña (Burgos), the oldest and smallest nuclear plant in Spain, will end its activity on July 2013. Even though it has been highly profitable, in 2011 it generated 1.3% of the total country’s electricity, a quantity that, at the present, is completely dispensable. The drop of the electric demand due to the financial and economic crisis as well as to the gas and renewable stations under construction, has led Spain to an excess of installed capacity. In fact, in 2011, the Spanish installed power, with 103,625 megawatts, more than doubled the peak demand of 44,107 megawatts. The plant of Garoña, that started its activity in 1971, could only continue its operation until the 6th of July 2013 due to a Ministerial Order established by the previous Government. However, the current Spanish Administration, with the support of Nucleor, the concession-holder company and of the Nuclear Security Council (conditioned upon the compliance of some improvements), wanted to prolong the plant’s life till 2019, keep the jobs, and helping assure the security of energy supply and the energy independence of Spain. But things have surprisingly changed: Nuclenor — 50% owned by Endesa and 50% by Iberdrola, electric companies — has missed, deliberately, the deadline to submit an operating license renewal application, based on the uncertainty regarding the new conditions that could be established for the activity of nuclear generation within the framework of the energy reform, which has yet to be approved by the government. Although there is likely to be an intention to put pressure on the Government in order to improve the operational conditions of the plant, the plant has to go through major security renovations, mostly due to the Fukushima accident, but also to the Nuclear Security Council demands. These renovations are estimated to cost more than 100 million Euros (141 million dollars), which make the plant economically unviable. In addition, the uncertainty over the implementation of new taxes and duties on nuclear energy and on hydroelectric plants has led to the final decision. Be that as it may, the prolongation of the operating time period of the plant is now economically unsustainable. The nuclear plant decided to shut down in 2012 ahead of new taxes included in a government energy reform that would render the plant unviable. The board of directors of Nucleor, operator of the nuclear plant of Garoña, has requested the Spanish Government to revoke the date of closure of the plant, which is scheduled to stop working next July 6th, and "keep the door open to the renewal of the existing authorization. In 2012, Nuclenor decided to shut down the nuclear plant of Garoña, the oldest in Spain, ahead of new taxes included in a government energy reform that would render the plant unviable. Spain introduced higher taxes on electricity generation as a measure to address an over 24 billion euro ($31 billion)energy tariff deficit after years of selling power below costs. The energy reform would add 153 million euros of taxes on Garoña in 2013, its operator Nuclenor said in a statement, adding this would "increase current economic losses to the point of sending Nuclenor into bankruptcy." The nuclear plant of Garoña opened in 1970 and produced about 1.4 percent of annual Spanish electricity output. Spain's industry ministry had wanted to keep Garoña open to assure a mix of energy options for the country, but Nuclenor said it would need to invest around 120 million euros in order to keep the plant running, while also facing higher taxes. Spain relies on imports to cover its energy needs, with nuclear energy providing 20 percent of domestic electric demand in 2011. 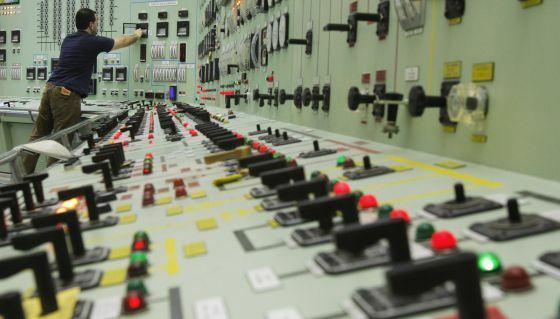 Spain's Nuclear Safety Council agreed on Friday to grant a new deadline to nuclear operator Nuclenor to request the extension of the operating licence of the nuclear plant of Garoña, which is scheduled to stop working next July 6th. Members of the council Rosario Velasco and Cristina Narbona voted against Nuclenor's request, whereas Fernando Castelló, Fernando Martí and Antonio Gurrí voted in favour of the request. Last week, the board of directors of Nucleor requested the Spanish Government to revoke the date of closure of the plant, and "keep the door open to the renewal of the existing authorization. In 2012, Nuclenor decided to shut down the nuclear plant of Garoña, the oldest in Spain,ahead of new taxes included in a government energy reform that would render the plant unviable. Spain's oldest nuclear power plant is due to close after forty-two years in operation, according to energy minister Jose Manuel Soria. Located in Garoña, belonging to the autonomous region of Castile and Leon, the power plant was initially due to halt operations in 2009. At the time, the plants' contract was renewed for another ten years, although later lowered to four years. Nuclenor, the company which holds ownership of the plant, has requested the possible prolongation of operations, leading to fears that the plant will only be shut-down temporarily. Garoña nuclear plant begins gradual shutdown. Owners decide to disconnect from electric grid to avoid paying new energy tax. The 42-year-old Santa Maria de Garoña nuclear power plant in the north-central province of Burgos, one of the eight nuclear reactors operating in Spain, has been shut down. The power plant, which was closed Saturday under an order issued by the Industry and Energy Ministry, continues to be the target of criticism from the opposition and non-governmental organizations, such as Greenpeace. The nuclear energy facility was closed down for economic and not safety reasons, and the government has not ruled out reactivating the power plant "if it is possible," Deputy Prime Minister Soraya Saenz de Santamaria said on Friday. The government does not plan to change the regulations covering the nuclear power industry, Saenz de Santamaria said. The shutdown was undertaken "even though there are no nuclear safety or radiological protection reasons that require it," and because the company that owns the facility cited economic reasons "for not requesting the renewal of the operating license," the Industry and Energy Ministry order said. Nuclenor, which is owned by Endesa and Iberdrola, operates the power plant and is resonsible for storing the uranium fuel used at the plant. The Spanish Socialist Workers Party, or PSOE, the country's largest opposition party, criticized the conservative Popular Party, or PP, government for holding out the possibility of reopening the plant. Greenpeace, for its part, said the possibility of modifying regulations to reopen the Santa Maria de Garoña plant "is criminal." tax on energy production and spent nuclear fuel. Nuclenor, a joint venture between Iberdrola and Endesa, said late last year that it would close the reactor because of the new tax. Nuclenor said the measures could force it to the point of bankruptcy. The operating licence for the reactor, which began commercial operation in 1971, has expired and Nuclenor has not applied for a new one, a statement said. If the plant should be recommissioned, Nuclenor would need to go through the application process for a new operational licence. No decision has been made on the future of the plant and all options are open, although some options would not make economic sense, Nuclenor said. Nuclenor said earlier this year that it had a balance sheet of 147 million euros (EUR) (about 190 million US dollars) on 30 September 2012, but would face paying taxes under the new law of EUR 153 million, leaving it with negative equity if operation of the reactor were to continue. The company said the amount of tax payable would put it "well below" the equity necessary to prevent dissolution of the company. The 446-megawatt boiling water reactor unit was disconnected from the grid on 16 December 2012 in preparation for its shutdown. In July 2012, an order to close the plant in 2013 was revoked by the country's industry ministry, paving the way for Nuclenor to apply for a licence to run the plant until 2019.
times of normal operation of the plant. This strategy will have to be published. In addition, citizens will have the opportunity to participate in the decision-making process when the licensing of a new nuclear power plant is being chosen.